We will always remember the summer of 2004 for our daughter's wedding and the four major hurricanes that struck Florida, even though, fortunately, they did not the Florida Keys directly. 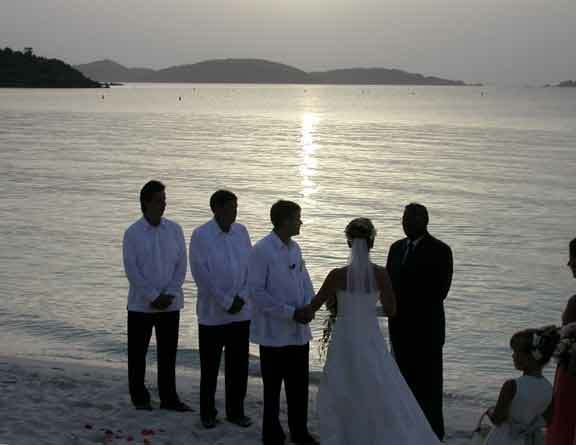 To see more about our daughter Ana Maria's wedding held in St. John, USVI, in June, click here. Captain Ed was also quite busy with eleven Boy Scout Charters, which were very successful and lots of fun. For more on these charters, click here. To get a sense of the excitement we lived through the 2004 hurricane season, click on the link at the top of the page.